Needless to say that this Topa Kuler Achaar is a top most favourite Bengali Achaar (Bengali Pickle) by the Bengali housewives. This Topa Kuler Achaar is made by Max Health (Ambo Group) from Kolkata. This Kooler Achaar is sweet and sour in taste and will tantalise your tastebuds for sure. So why wait? 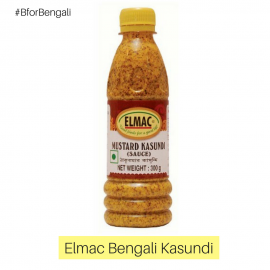 Buy your favourite Bengali Kooler Achaar NOW.